School supplies, packing lunches, homework, paperwork, it’s that time of year again, back-to-school. If you are like me, the stress of a new school year is overwhelming and having one more thing to think about just might make your head explode. So, I understand talking with your child about their peers with a disability might be the last thing that you think you have time for. Or, if you were like me before I had my oldest son, it might not even be on your radar- I completely understand. Growing up I was a super competitive person, always working extra hard to ensure I would get straight A’s on my report card and hold the honor of being the student of the month. I was raised to be kind and polite, but my focus was always on being “smart.” The only measure of “smart” in my mind was perfect grades on a report card. Oh, how my perspective has changed. Now, I have two boys, both in inclusive classrooms. One that is being included with his “typically developing” peers and the other that is a “peer model” in the same preschool classroom my older son attended. Before my son with Down syndrome started preschool, I thought little about the emotional and social importance of school. I had always thought of school for the academic piece. Primary school was a stepping stone into a secondary school which would lead to acceptance into a prestigious college and in turn a high-paying job. 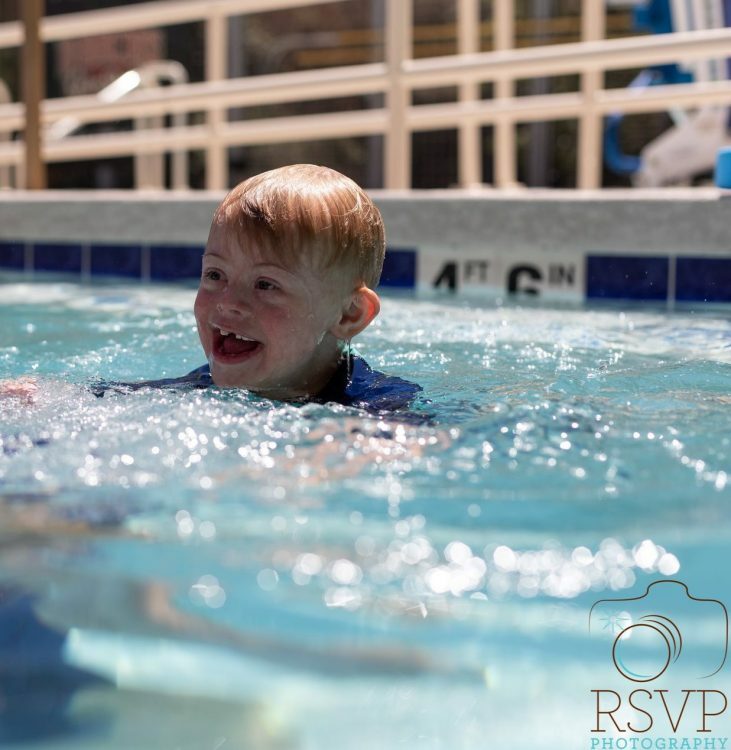 My son with Down syndrome has changed my perspective on life in many ways, but perhaps most important is how he has shaped my parenting style. Above all else, we teach kindness and celebrate everyday good deeds with the same enthusiasm as a perfect report card. For my son that is included with his “typically-developing” peers in a general education first-grade class, I don’t wish for his peers to treat him special or different from the rest of the friends in the class. I wish for them to treat him with the same kindness they have for all their classmates. I’m not deceiving myself; I do understand that the interactions that take place with my son might be different than the other interactions in the classroom between peers. I know that your child may need to have extra patience with my son because he is still figuring out social interactions and may not respond to your child’s “hi” yet. I know that your child may need some extra patience when my son does something unexpected because he is overwhelmed by his sensory needs. It’s all true. But, if your child leads with kindness, they will always know how to respond to my son. They will always treat him the way they would like to be treated which of course, is the same way my son wants to be treated too. It’s simple really, talk to your child about kindness. Along with studying with them for their spelling tests, talk with them about how they can help their peers and teacher each day. Acknowledge acts of kindness with as much pride as perfect test scores.